Lithium ion batteries supply power to many kinds of devices including smart phones, laptops, scooters, e-cigarettes, smoke alarms, toys and even cars. Take care when using them. In rare cases, they can cause a fire or explosion. These batteries store a large amount of energy in a small amount of space. Sometimes batteries are not used the right way; batteries not designed for a specific use can be dangerous. Like any product, a small number of these batteries are defective. They can overheat, catch fire, or explode. Purchase and use devices that are listed by a qualified testing laboratory. Only use the battery that is designed for the device. Put batteries in the device the right way. Only use the charging cord that came with the device. Do not charge a device under your pillow, on your bed or on a couch. Keep batteries at room temperature. Do not place batteries in direct sunlight or keep them in hot vehicles. Store batteries away from anything that can catch fire. from anything that can catch fire. Call 9-1-1. Do not put lithium ion batteries in the trash. Recycling is always the best option. 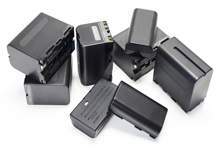 Take them to a battery recycling location or contact your municipality for disposal instructions. Do not put discarded batteries in piles.